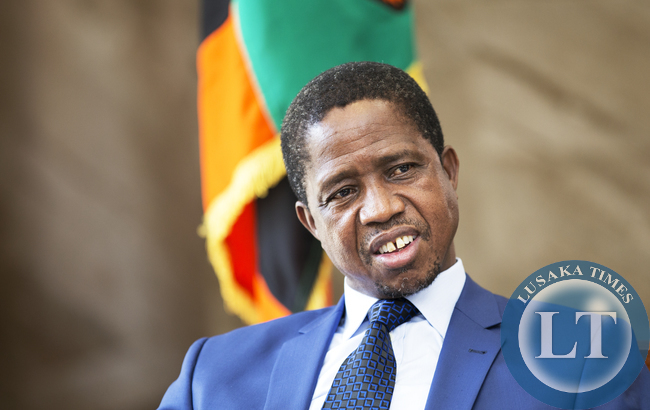 The Treatment Advocacy and literacy Campaign has welcomed President Edgar Lungu concerns on the deportation of HIV Positive Zambians from China. TALC Country Director Felix Mwanza said the fact that President Lungu made this observation and further relayed the message to the Chinese President on China’s soil is a very bold stance. Mr Mwanza said the stance makes the People Living with HIV fraternity feel protected and that for the first time they have a President who is concerned about their welfare. ‘His Excellence has exhibited leadership which must be emulated by all our Political Leaders. As an organisation we feel we have an ally in His Excellency and will do everything in our powers to support him on this path of protecting People Living with HIV,’ Mr Mwanza said. Mr Mwanza said the best that the Chinese authorities could do is to offer treatment to all those that are HIV positive and need it other than resorting to deportations of HIV positive individuals. ‘Deportation of HIV positive persons from any Country is a gross violation of their Human Rights which should not be tolerated. The West tried to do this in the past but realized early enough that barring entry and deportation of PLHIV was not a solution,’ he said. THANKS MR PRESIDENT. THAT’S A GOOD MOVE SIR. WE APPRECIATE. What “move” did Edgar make? What did Edgar do, did he send all those deported back to China? Sick people run to countries they think they will get better treatment, ask Edgar himself. If Edgar turn that Mwanawasa hospital into an HIV-Sondashi formula best treatment center, then even Chinese will go to Zambia to receive treatment. Let’s face facts, every country have their own rules. so why take this personal? Even in Zambia, we have immigration rules, including the time we blocked Citizens of Ebola effected West African countries. who condemned us?? Home is home come back and live in Zambia peacefully why worry?? is china end of life?? Rules are rules, don’t force your opinion on others. this is why we are weak because we accept what ever others say..
China is racist and useless. They make toxic goods and poison Africans. they also chase HIV positive zambian students from russia. i say chase those russians from zambia also. We are all human beings and need to be treated equally. Some of these people contracted the disease unknowingly through work (Nurses, Doctors and Carers) or had it passed on to them by their parents. Lets treat individuals living with this illness with respect and dignity. One never know what tomorrow may bring. Another political milestone for Lungu. As a country and indeed as a vibrant nation, we should make time, find time and sit down to ask ourselves; Why this HIV? 1. Why have we as a nation lost so many Presidents within a short spell of time? 2. Why are we dying from this pandemic the way we are? 3. Where did this HIV come from and who’s behind it? 4. Why don’t other countries within our region have this type HIV and compared to our prevalence? 5. Why didn’t Angola, Mozambique and even the Congo DR have HIV except; only former British colonies? 6. Are the British behind this and could this be why they are now coming back en-mass to reclaim our country back? akainde has stopped barking and ranting? some of us are not interested in his rantings during campaigns. What about when you catch it from there? anyway now i understand why Ujeni was sent back. Whether it is due to the President’s intervention or not, what China is doing is bad, really bad. People with HIV have lives to live too and deserve respect. Most people living with HIV, especially women are victims! Please send more HIV infected embassy officials to confound them. …So, all along the PF Govt didn’t know about this! Where are the handover notes from Lupando Mwape who was an ambassador there? What about the information from Joe Chilaizya who has been there since 2011 0r 12? This is the duty for Harry Kalaba!! PF is always putting things upsidedown. @Nkope Shinyenga : You meant well for your country but you mixed issues. Dead presidents, colonial connection (British), uninfected neighbouring countries and origin of HIV may fail to help us in the meantime. However,assisting the infected, fighting stigmatisation, helping HIV orphaned children, fighting with the spread of the virus, compulsory test for presidential candidates and proper medical and nutritional care may assist. Lets be our brothers’ keepers for an AIDS FREE CONTINENT. Even the president is HiV POSITIVE.He acquired it when he was sleeping with prostitutes in CHAWAMA. I think they should also send Edgar Lungu back to Zambia. He is infected by First Grade HIV/AIDS which he acquired in Chainama-Chabipa Compound where he was an MP. Ba editor ba editor ba editor ba editor ba editor ba editor ba editaaaaaaaaaaaaaaaaa! Bushe tamufola? Everyday ni ma errors? Do you have any respct for us your readers? The blunder “People living HIV in Zambia” is so bold in the headline and it is repeated Awe Mwe! Jokes aside, this is a very positive move and bold statement by an HIV president who understands how to protect those infected by the disease. The next move he should start advocating for treatment for all, if he does this, he will be the real champion of the people. As a person infected himself,he will be speaking only what is from his heart for sure. At last the HIV infected people will have a real infected president. Well done! this is how diplomatic pipo do things..i love my country and presido..long live EL. That was good on this one I can say continue advocating for our brothers and Sisters living with HIV and Aids. They are Still one of us after role Malaria and accidents and major killers. We need injections not ARV tablets this time around.